The Finance Committee advises the pastor on budgeting and tracking parish income and expenses. It assists in the material administration of the parish and with planning and supervising the financial affairs of the parish. The committee is concerned with parish resources, fund raising, and budgeting, and reviews the parish financial statement. Consisting of the pastor and selected parishioners, the committee meets four to five times a year in the church rectory. 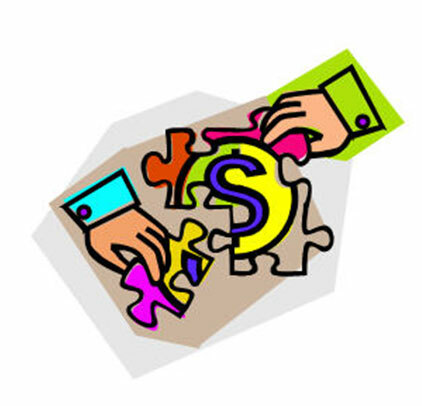 Any member of the parish is welcome to attend a Finance Committee meeting. For the date of the next scheduled meeting, please check with the parish office. Several diocese-mandated parish procedural financial audits have found the parish to be in compliance with diocesan financial policies and procedures. Tabulation of weekly Sunday Offertory giving is conducted bythe volunteers of the parish Offertory Counting Team. In January 2007 the pastor and the Finance Committee instituted the Faith Direct program of electronic giving, which allows parishioners to make monthly contributions to the parish by credit card or by electronic transfer of funds. Faith Direct helps the parish to have a more stable income. Many parish families participate and almost 30% of our Offertory income comes from this source. In summer when weekend Mass attendance drops significantly, electronic giving comes to our rescue. The Finance Committee thanks everyone who uses Faith Direct and encourages everyone else to give prayerful consideration to using it. You may change or quit your Faith Direct giving at any time. You can enroll in Faith Direct either online at http://www.faithdirect.net/ or by calling 1-866-507-8757. Our parish code is CT46. A Faith Direct enrollment form for our parish can be downloaded and printed out here; please fill out the form and mail it in to the address indicated or place it in the collection basket. Parish Financial Audits On October 24, 2011 selected members of the Finance Committee had a parish procedural financial audit review with diocesan representatives to discuss the parish’s third diocese-mandated procedural financial audit conducted on March 24 and 30, 2011 by the CPA firm of Maletta & Co. This audit was done to evaluate the parish’s compliance with the diocesan financial procedures of February 2008. The parish was found to be in very good compliance except for a small number of technical issues. 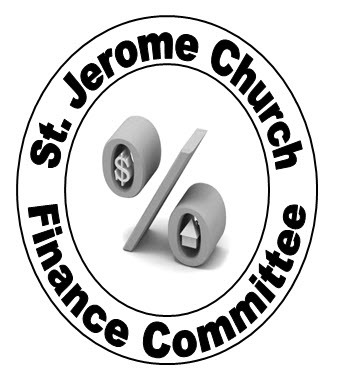 The pastor submitted to the diocesan Finance Director of Parish Finance Services a typed report to show how St. Jerome’s already had addressed and corrected these issues in the eight months that had elapsed between the March audit and the October review. Proceedings of this parish audit meeting are available in the November 8, 2011 Minutes of the Finance Committee. If you have any questions or would like to see the audit report, please contact the pastor or the Finance Committee chairperson. On January 26, 2010 the Finance Committee had a parish financial audit meeting with diocesan representatives to discuss the parish’s second diocese-mandated procedural financial audit conducted in May 2009 by a CPA firm selected by the diocese and funded by the parish. This audit was done to evaluate the parish’s compliance with the new financial procedures of the diocese promulgated in February 2008. The parish was found to be in substantial compliance except for 16 findings made by the auditor. The pastor substantiated, and the diocesan reviewers agreed, that 15 of the 16 findings had been taken care of completely by parish procedures instituted since May 2009. Compliance necessitated the parish’s hiring of a part-time bookkeeper to manage the new financial policies and procedures of the diocese. Discussions continue on the 16th finding, the need for parish lay employee timesheets. Proceedings of this parish audit meeting are available in the January 26, 2010 Minutes of the Finance Committee. If you have any questions or would like to see the audit report, please contact the pastor or the Finance Committee chairperson. On February 8, 2008 the Finance Committee had a previous parish financial audit meeting with diocesan representatives to discuss a first diocese-mandated procedural financial audit conducted in July 2007 by a CPA firm selected by the diocese and funded by the parish. This audit was done to evaluate the parish’s compliance with the previous financial procedures of the diocese. On 70 of the items St. Jerome’s was in complete compliance. The remaining 10 items that needed attention were all minor and have been addressed. The outside auditors also recommended that the pastor approve all bills for payment and review the bank statement before it is reconciled. They wanted the parish to have a better back-up system on the computer that stores the parish census, to start using purchase orders, and to keep a journal on capital improvements past and present. The reviewer said the parish was doing a good job. If you have any questions or would like to see the report, please contact the pastor or the Finance Committee chairperson. The St. Jerome Counting Team tabulates only the St. Jerome Sunday Offertory giving. Duties include counting cash and checks for all the Masses, verifying totals and subtotals, and entering data on forms in accordance with the diocesan financial procedures manual. Thanks to our current volunteers: Maria Cappuccia, Phil Caragine, William Halstead, Kathy Jimenez, Florence Loch, Frances Mansager and Ron Secchi. John DiDomizio is the Counting Team leader. The team wishes to honor the memory of Salvador Clancy, Harry Clark and Frank Lilithy, three long-term counting team members who now rest in peace.